Sometimes we all need a little encouragement. 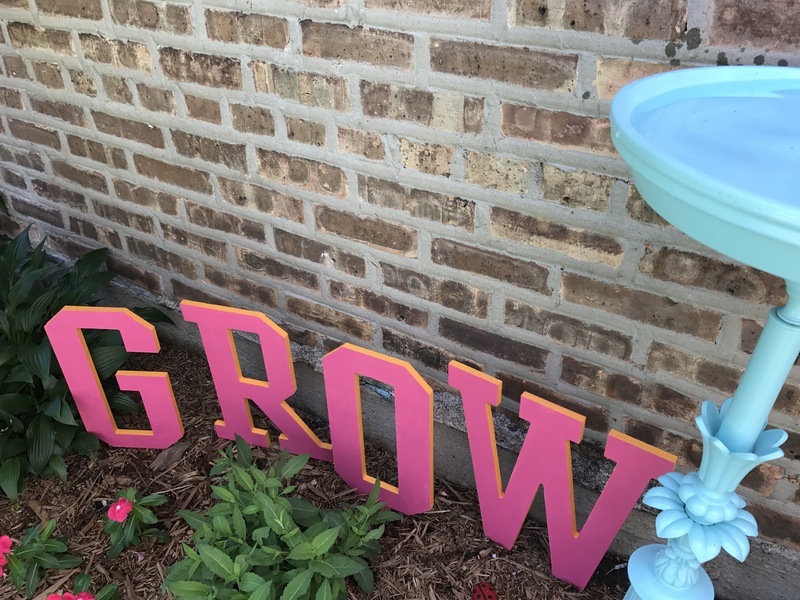 I’m definitley encouraging my garden to GROW with this DIY wooden letter sign. 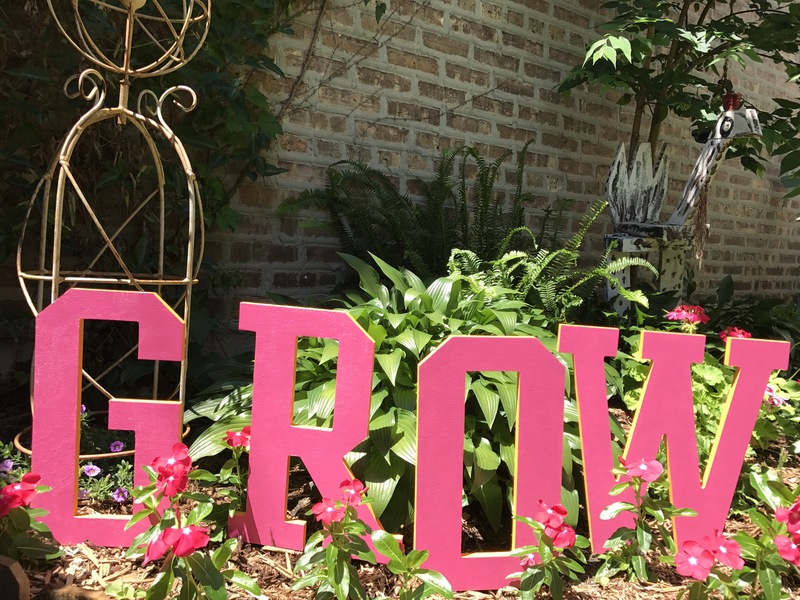 It’s large and in charge and makes a bold statement in the yard. 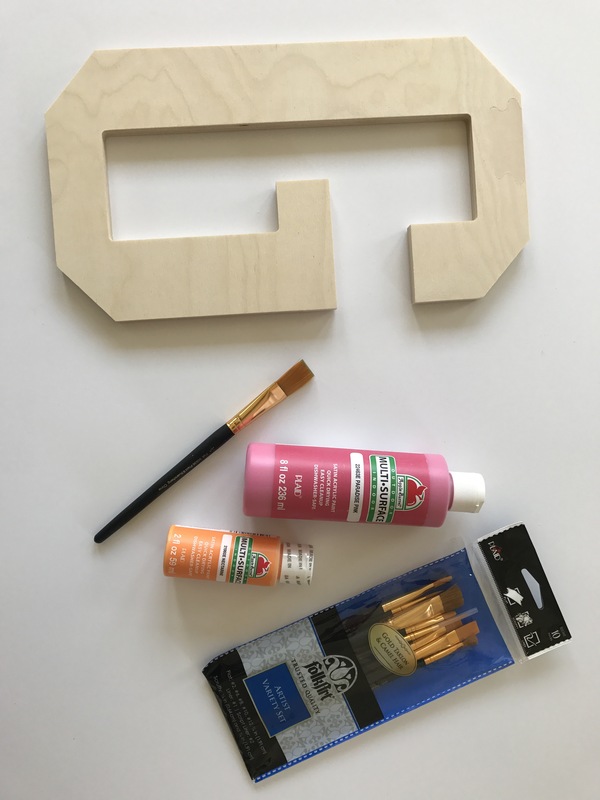 My friends over at Plaid sent me these 18in wooden letters along with some wonderful multi-surface acrylic paints to use on this project. 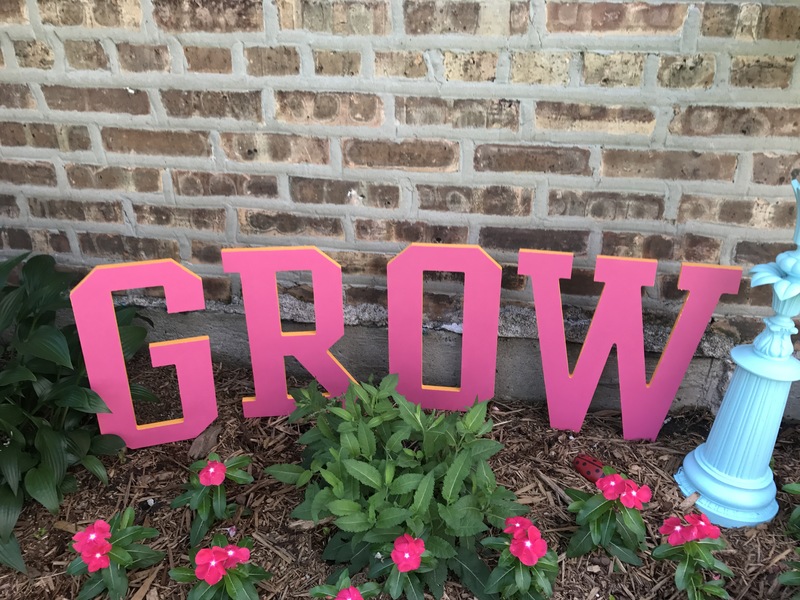 These letters exceeded my expectations upon arrival. They come in four different styles and are/will be available for purchase at Walmart . In fact, Walmart is your one stop shop for this entire project! Most of the items can be found in the same aisle. How easy is that? 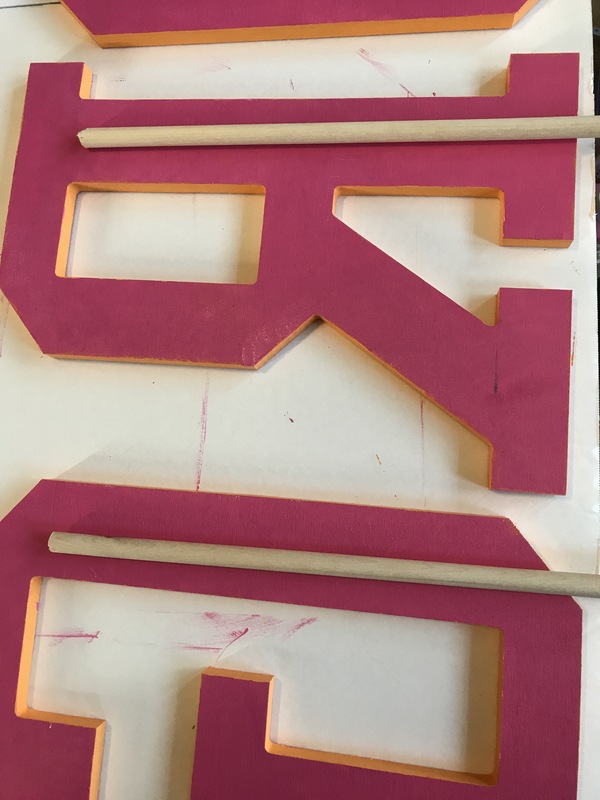 First, using a brush from my FolkArt variety set, I painted the front and back sides of all my letters in Apple Barrel Paradise Pink. This color is so vibrant! The coverage is excellent. I gave the front and back sides two coats, although, I could have most likely gotten away with one. 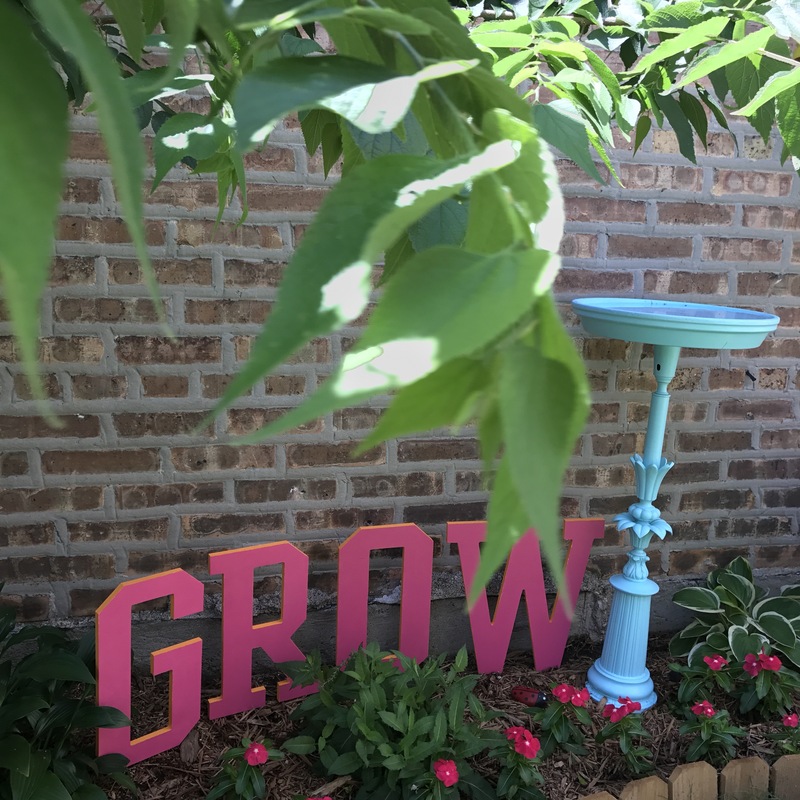 I painted the sides of my four letters Apple Barrel Nectarine. I love this color combination. The pink and the orange are fantastic together! 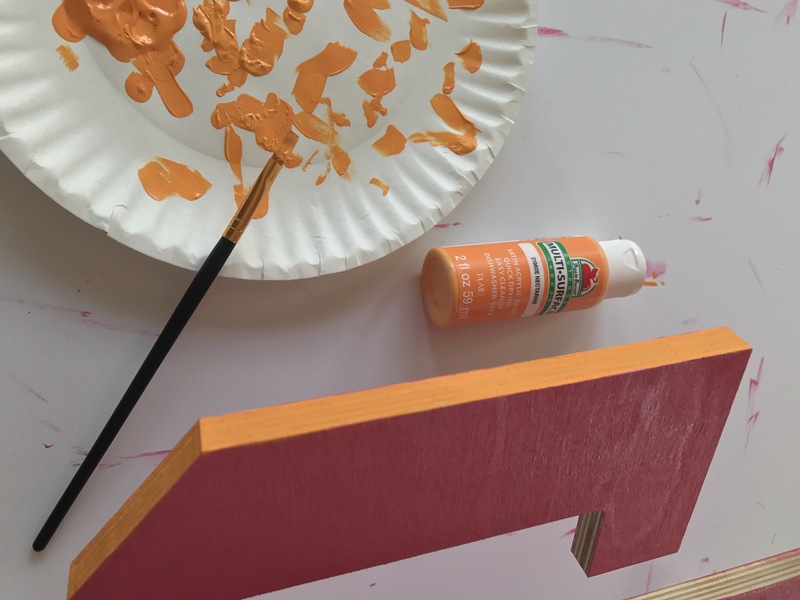 I recommend applying the paint in a horizontal fashion on the sides. 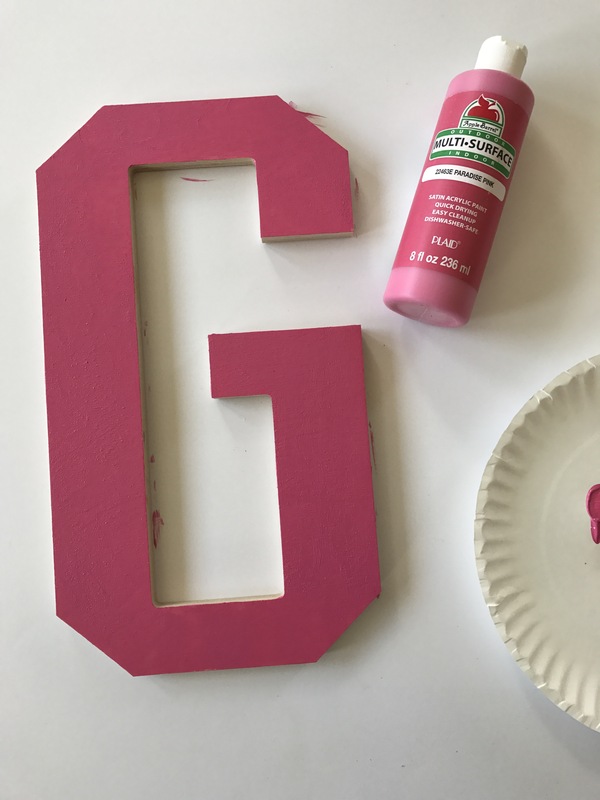 It reduces paint oops and makes for less touchups. 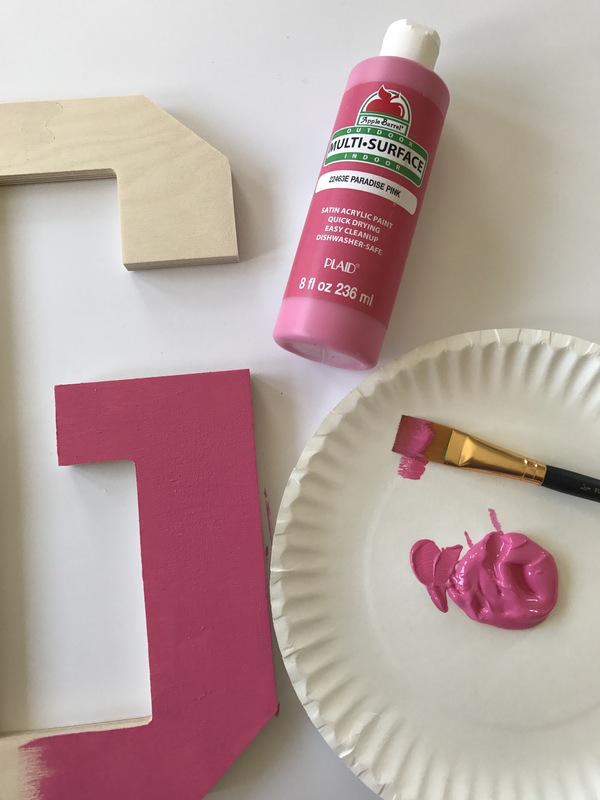 These multi surface acrylic paints are really wonderful and are perfect for any project, indoors or out! 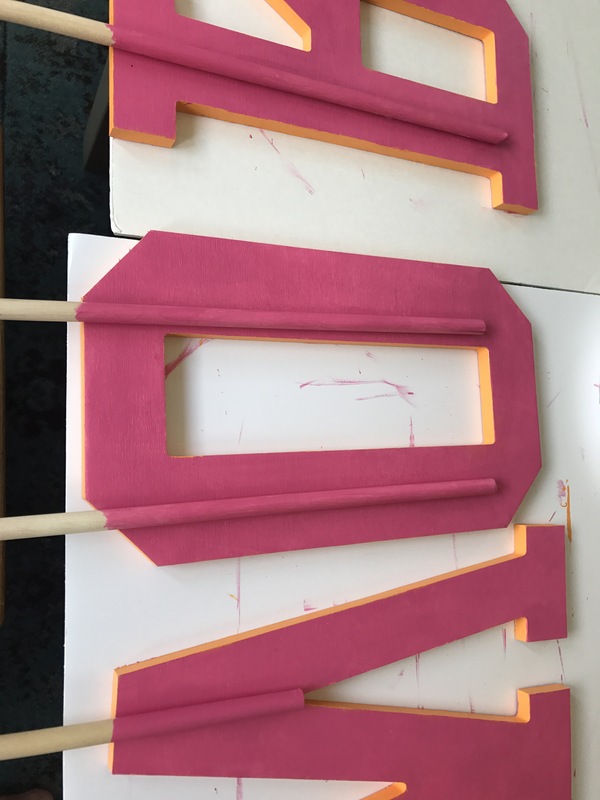 When I was at Walmart, I picked up 4 long wooden dowels in the craft area to act as stakes for my sign. 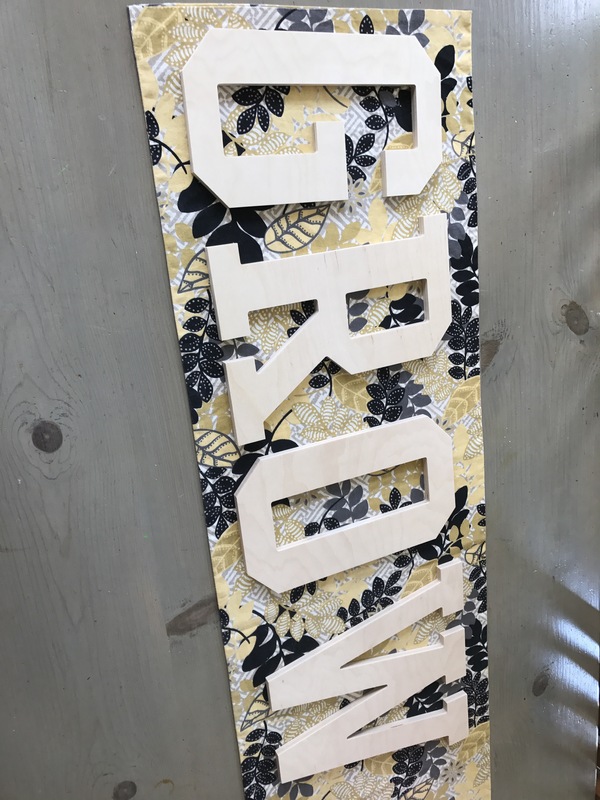 I cut them to size and adhered them to the back of each letter with an industrial strength waterproof adhesive that I also picked up in store. 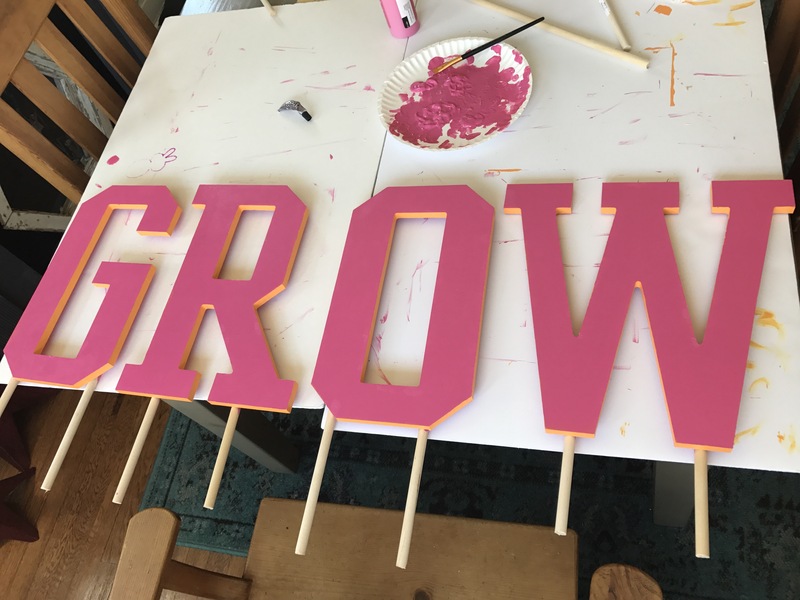 Although, nobody will most likely be seeing the backside of my sign, my perfectionism kicked in and I painted the exposed portion of the dowels Paradise Pink to match the letters. Here they are completed before being placed outside. I really, really do love this color combination! 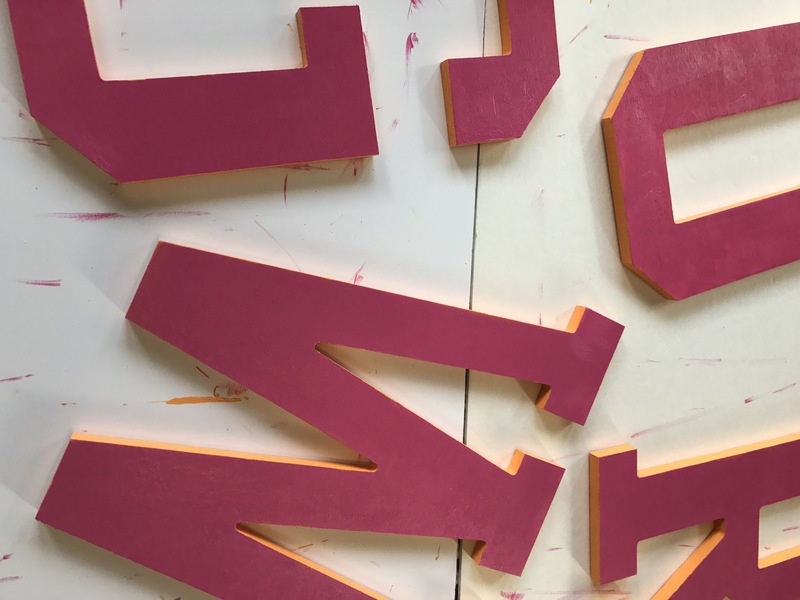 The bold colors and scale of the letters is what makes this project such a standout. Plus, they compliment my DIY Bird Bath so well. I love this project! It would make me happy every time I looked at it. Thanks, Lisa! I certainly love looking at it in my yard.